What do you notice in the sentences? Is there an equivalent to the be verbs of English? 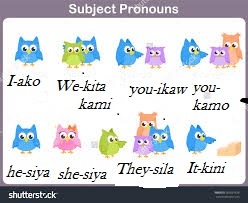 How are the Visayan subject pronouns used? Now, change the following in Visayan sentences.